Updated on 01-Feb-2019 – If you are planning to buy a smartphone online in 2019 here are some best recommendations. There are many good choices depending upon your budget. We have listed some of the best selling smartphones which you can buy in 2019. All these smartphones offer great value for money and are currently a hot favorite on online stores like Flipkart and Amazon India. 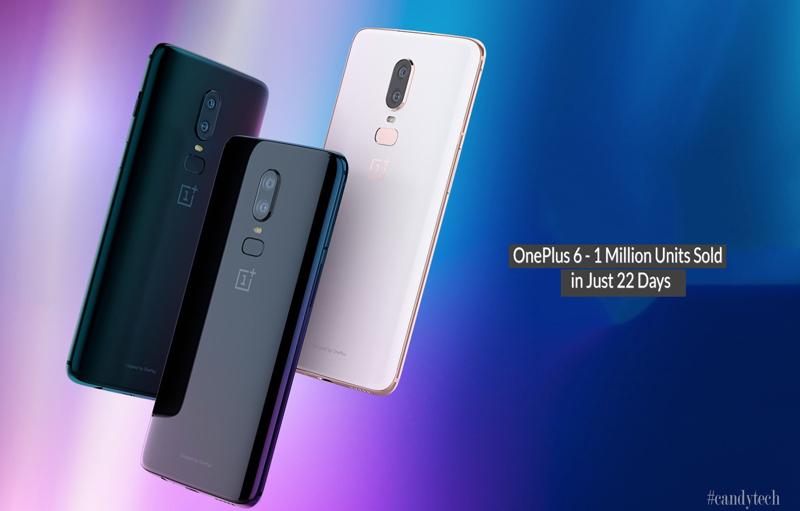 OnePlus has recently launched the successor to the OnePlus 5T and is one of the highest selling phones on Amazon India. The phone set a record of 100 crores revenue at the launch day and clearly is crowd favorite in the 30k to 40k price range. The OnePlus 6 is available on Amazon India and comes in two variants 6 GB Ram / 64 GB storage for Rs. 34,999 and 8 GB Ram / 128 GB storage for Rs. 39,999. Powering the device is the latest Qualcomm Snapdragon 845 Processor with a maximum clock speed of 2.8 Ghz and comes with Adreno 630 GPU. There is a 6.28 Inch Optic AMOLED display with (2280*1080 pixels) resolution which is ideal for multimedia consumption. Notably, the phone boots on the Oreo 8.1 OS along with the Oxygen UI from the company. For photography, the mobile comes with Dual rear cameras (16 MP + 20 MP) with f/1.7 aperture and EIS and OIS support. Also, for selfies, there is a 16 Megapixel camera that comes with f/2.0 aperture to click detailed photos. There is a fingerprint scanner at the back and it even boasts of a quick face unlocking feature. Additionally, there is USB Type C Port for connectivity and the mobile runs on a 3300 mAH capacity battery. OnePlus 6 doesn’t support wireless charging but comes with the dash charging support that is blazing fast. Overall, it is an excellent choice for buyers looking for flagship performance at an affordable price. Apple iPhone X is the most expensive of the iPhone line up and is the flagship device that comes with a notch on top of its display. It was launched in September 2017 by the company. iPhone X has a 5.8-inch Super AMOLED display which comes with a resolution of 1125 x 2436 pixels at a pixel density of 458 PPI. Also, it is the first iPhone ever to have a display notch. Its display is pressure sensitive for specific user inputs and uses 3D Touch technology. 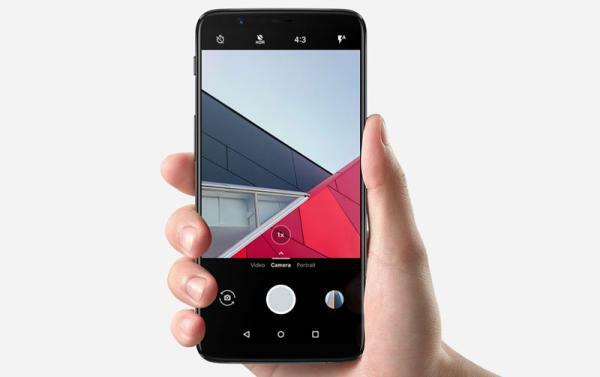 For imaging, it features a 12 MP (f/1.8) + 12 MP (f/2.4) dual-camera setup at the back with OIS, PDAF, 2x optical zoom, and a quad-LED dual-tone flash. On the other hand, there is a 7 Megapixel front shooter with face detection and HDR. Also, there a Face ID sensor on the front which unlocks the phone very quickly and accurately. It comes in 256 GB/64 GB storage options with 3 GB of RAM in either of the variants and is priced at Rs. 98,999 and Rs. 85,999 respectively. Powering the smartphone is an Apple A11 Bionic chipset which comes with Apple GPU for high-performance gaming, while its battery is a 2716 mAh non-removable battery that supports fast charging and Qi Wireless charging. The iPhone X boots on iOS 11.1 out of the box, and will be upgradable to upcoming iOS 12. The phone is certainly a premium phone at a premium price, but it definitely is an Apple iPhone like never before. 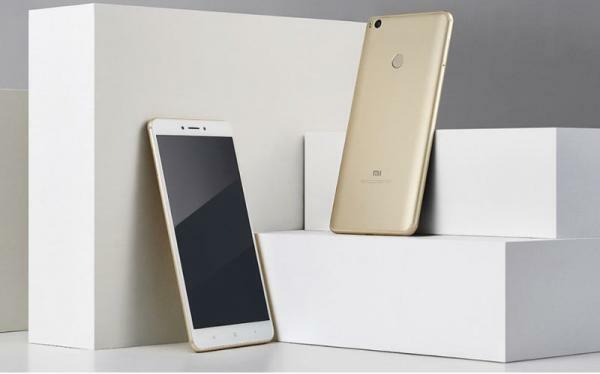 Xiaomi launched Redmi 5A in Indian market in December 2017 and was the cheapest Redmi phone at the time of its launch with an introductory price of Rs. 4,999 for 2 GB RAM and 16 GB storage variant. It is one of the highest selling Redmi smartphones on Flipkart and has an average rating of 4.5 Stars and more than 120k product reviews. The company had stated at the launch event that the introductory price will be valid until the first 5 million Redmi 5A devices are sold. It features a 5-inch IPS LCD display and comes with an HD resolution (720*1280 pixels) at a pixel density of 296 PPI. The company has not provided any protection for its display. For taking photos, there is a 13 Megapixel (f/2.2) primary camera that comes with PDAF and LED flash and can record 1080p videos. Additionally, it has a 5-megapixel secondary camera for clicking selfies. A Qualcomm Snapdragon 425 chipset powers the phone along with an Andreno 308 GPU for handling graphics. Also, the device has a 3000 mAh non-removable battery which last over a day on a single charge very easily. Apart from that, it comes in 2 GB RAM + 16 GB internal storage and 3 GB RAM + 32 GB internal storage variants. Price of Redmi 5A smartphone now starts at Rs. 5,999 for the base variant and is available on Flipkart as well as the company’s official website for purchase. Redmi 5A runs on Android 7.1.2 Nougat operating system with MIUI skin on top of it. Xiaomi Redmi 5 was launched in the Indian market in March 2018 and is one of the highest selling smartphones. The smartphone is available for purchase from Flipkart at a price of Rs. 8,498 for 2 GB RAM and 16 GB internal storage model while 3 GB RAM variant with 32 GB internal storage is up for grabs at Rs. 9,998. The smartphone comes with an aluminum back with plastic ends and has a fingerprint scanner at the back. The Xiaomi Redmi 5 features a 5.7-inch IPS LCD Display with a resolution of 720 x 1440 pixels and a pixel density of 282 PPI. The device has Corning Gorilla Glass for protecting the display from scratches, although its version is unspecified. The devices run on Android 7.1.2 Nougat operating system with a layer of MIUI 9.1 on top of it. The mobile is powered by a very capable Qualcomm Snapdragon 450 Octa-core Processor clocked at 1.4 GHz along with an Adreno 506 GPU. Talking about photography, it comes equipped with a single-lens 12 MP (f/2.2) rear sensor along with PDAF and LED flash. For selfies, there is a 5-megapixel secondary camera that clicks acceptable photos. The Xiaomi Redmi 5 comes with a large 3300 mAh non-removable battery, which easily lasts all day long. Notably, it supports fast charging with a 5V/2A adapter to ensure the speedy charging of the battery. Redmi Note 5 is the successor to a high-selling Redmi Note 4. It was launched by Xiaomi in February 2018. The smartphone comes with a 5.99-inch IPS LCD display with an HD+ (1080 x 2160 pixels) resolution with a pixel density of 403 PPI. For protection, company has used Corning Gorilla Glass. The device has an aluminum back with plastic ends covering its upper and lower corners. Although the phone is quite big, it fits well in hand. Powering the device is a very capable Snapdragon 625 Octa-core processor, along with an Adreno 506 GPU for excellent gaming and graphics performance. Also, it gets power from a huge 4000 mAh battery and has support for fast charging. For photography, there is a single-lens 12 MP (f/2.2) rear camera with PDAF and dual-LED dual-tone flash. For taking selfies, it comes with a 5-megapixel sensor capable of recording Full HD videos also. Redmi Note 5 is one of the best selling devices and is available on Flipkart for purchase at a price of Rs. 9,999 and Rs. 11,999 for 3 GB + 32 GB and 4 GB + 64 GB variants respectively. Huawei Honor 9 Lite was released in Indian market in January 2018. The device has an average overall rating of 4.3 Stars with over 42k product reviews on Flipkart. It is available for purchase from Flipkart for a price of Rs. 10,999 for 32 GB internal storage with 3 GB RAM option. The device is made up of aluminum, and has a 5.65-inch IPS LCD display with an HD+ (1080*2160 pixels) resolution at a pixel density of 428 PPI. It also comes with a modern 18:9 screen ratio. Huawei Honor 9 Lite runs on Android 8.0 operating system. Powering the phone is a HiSilicon Kiri 659 Octa-core processor along with a Mali- T830 MP2 GPU. additionally, it comes with a non-removable 3000 mAh battery. Also, it has a rear-mounted fingerprint scanner for unlocking the device. For imaging, there is a dual 13 MP + 2 MP rear camera module and features PDAF and LED flash. On the other hand, its secondary camera module is also equipped with a 13-megapixel + 2-megapixel dual-camera setup capable of recording 1080p videos. Top Selling Lenovo Smartphone in India – The Lenovo K6 Power was launched back in November 2016. It is available on Flipkart and comes in 3 GB RAM and 4 GB RAM. The 4G VOLTE smartphone offers awesome specs and battery life. The Lenovo K6 Power comes with 5.0-inch Display with Full HD resolution. The K6 Power has great battery life with its 4000 mAH capacity battery. It is powered by Qualcomm Snapdragon 430 processor along with the Adreno 505 GPU. The smartphone also comes with a massive 32 GB of internal storage which can be expanded further upto 128 GB. The Oneplus 5 was launched in November 2017 and is one of the top-selling smartphones in the 30K to 40k price range on Amazon. The smartphone comes with cutting edge Qualcomm Snapdragon 835 processor clocked at 2.45 GHz and Adreno 540 GPU. The OnePlus 5T comes in two variants – 64 GB storage/ 6 GB RAM and 128 GB storage / 8 GB RAM are priced on Amazon India for Rs. 32,999 and Rs. 37,999 respectively, but are out of stock currently. The key highlight of the Oneplus 5T is its Dual 16 MP (f/1.7) + 20 MP (f/1.7) rear camera. The smartphone also has a 16-megapixel (f/2.0) front camera for selfies, which clicks excellent selfies. The device runs on the Android Nougat 7.1 with Oxygen OS and is upgradable to Android 8.1 Oreo. OnePlus 5T is a dual-SIM phone with an aluminum body and comes with a 3300 mAh non-removable battery which supports company’s Dash Charging technology with a 20W charger. Xiaomi has sold more than 5 million units of the Xiaomi Redmi Note 4 smartphones so far in the Indian market and it is one of the top-selling smartphones on both Flipkart and Amazon. The company launched the Xiaomi Redmi Note 4 in the Indian market starting at Rs. 9,999. The Redmi Note 4 is a good mobile with 5.5 Inch Full HD Display. It has 2.5D curved glass on top and a much premium looking chamfered metallic design compared to the older Redmi Note 3. The Redmi Note 4 comes in 3 variants starting at Rs. 9,999 for the 2 GB RAM and 32 GB storage version. It is powered by the Qualcomm Snapdragon 625 processor which is energy efficient as well as powerful. The best part is it produces low heat and also prolong the battery life of the smartphone by 25%. The Xiaomi Redmi Note 4 comes with Android Nougat 7.0 along with the MIUI 8.0. There is a fingerprint scanner at the back of the device. The smartphone also has a large 4100 mAH capacity battery which can easily work all day without the need for a recharge. Motorola Moto G5 Plus is one of the best camera smartphones you can buy in the sub 15K price range. The smartphone was launched in March 2017 in the Indian market and smartphone comes with 4 GB of Ram and 32 GB of internal storage. The smartphone has a vivid 5.5 Inch Full HD Display(1920*1080), and also comes with the Gorilla Glass protection. The rear camera is a 12 MP shooter which can click good images and comes with an f/1.7 aperture. The camera can capture more light and is able to click good images in low light conditions. The front camera is a 5 Megapixel shooter for clicking selfies. It comes with 3 card slots, 2 for sim and one dedicated slot for micro-sd card. 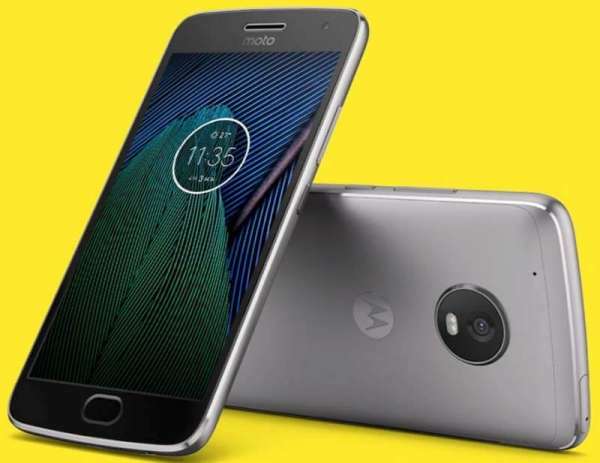 The Motorola Moto G5 Plus is powered by the energy efficient Snapdragon 625 Octa-Core Processor which is also used in several mobiles like the Redmi Note 4. The Moto G5 Plus has recently got a price cut and is now available for Rs. 14,999. Motorola has also launched the Moto G5s Plus which comes with Dual Cameras. Xiaomi Mi Max 2 is launched in India on 18/July/2017 and is available to purchase from Flipkart. The Xiaomi Mi Max 2 is a large display smartphone which comes with great battery life. The Xiaomi Mi Max 2 is powered by the energy efficient Qualcomm Snapdragon 625 Processor clocked at 2.0 GHz and comes with the Adreno 506 GPU. The smartphone has a very large 6.44 Inch Full HD Display (1920*1080) pixels. Another key feature for the Xiaomi Mi Max 2 is it’s massive 5300 mAH capacity battery which can easily last 2 days. The smartphone also has improved rear and front camera if we compare it to the Xiaomi Redmi Note 4. So these were some of the top suggestions. 15 Best Battery Life Mobiles – All Day Battery. Which is best phone under 13k ., Mainly camera & Multitasking?? Pl. confirm best under 10000 rs INDIAN MAKE Smartphone Brand and Model noumber with price. Which phone is best camera wise best, gionee f103,vivo v3,gionee elife E7? OR ANY OTHER PHONE UNDER 40K……. Why not wait and go for Samsung S7 it is coming soon – S7 offers much more compared to these two. Sir, what is best touch screen mobile smartphone having features 3G,5MP camera,android,better resolution,memory 4GB video calling in price range of Rs. 4500/- . It does not cause any harm on health. Sir im looking forward to buy a mobile under 20k with best sound quality nd xcellent battery life. Moto X play and the OnePlus X are good choices with good battery life ..
which is the best mobile under 7000? Sir I have a mi pad. I want WiFi hotspot at my home only. In area no 3g only 2g available. Please suggest me what should I do? I want to buy a mi phone .which one I should buy under Rs 12000? motorola is the best mobile ever.